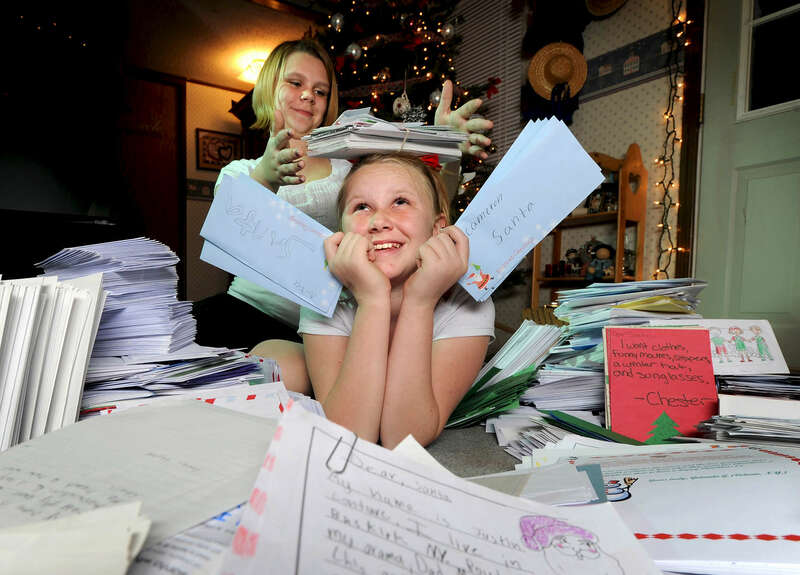 Justice White Sloan, 10, front, and her sister, Bethany, 13, pose Tuesday, November 30, 2010, with some of the thousands of letters to Santa Claus they have received this year. The letters will be given to Macy\'s which has pledged to donate a dollar for every letter, up to 1 million, to the Make-A-Wish Foundation. This is the second year Justice, who has a genetic disorder that causes liver and lung problems, spearheaded a letter campaign. Last year she collected 10,000 letters.